According to AARP, more than 40 million people in the United States are providing care for an older or aging loved one — and 7 million of us are Latinos. That doesn't come as any surprise to members of our community. It's simply what we do for family. For many, caregiving starts with simple errands and to-do items, like scheduling a doctor's appointment or helping out with grocery shopping, and then expands to more responsibilities over time. It's a beautiful thing to do what we can for the people we love, but there are also moments when we can feel worn out or stretched too thin. When you look at the numbers, it’s clear how hard we’re working. Nearly 7 in 10 Latino caregivers work outside the home. One in three provide more than 40 hours of care to loved ones each week. You do the math. It doesn't add up to much time for the "life" side of a caregiver's work-life balance. That's why AARP and the Ad Council started a Caregiver Assistance campaign to offer information and free online resources for caregivers. On AARP's Family Caregiving site, there are wellness tips, planning resources, financial guidance and Care Guides tailored to specific topics and challenges, such as caring for a loved one with dementia. It also includes self-care tips and advice for caregivers. Care for yourself. You cannot care for your loved ones unless you care for yourself. It's important, not only to your mental well-being, but your physical well-being, too. 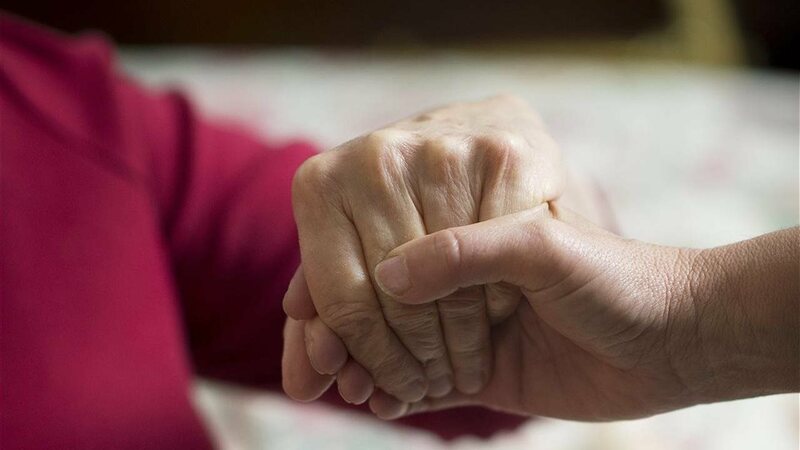 Caregivers have a higher-than-normal rate of getting sick, and are oftentimes so depleted that they can't care for either their loved one or themselves. Look after your own health by eating well-balanced meals, exercising, getting enough sleep and taking time off. Stay organized with handy tools. You’re probably already an expert at organizing documents and medical cards, insurance papers and everything else. Make your life a little easier by leaning on free resources that can help you keep everything together! There are a ton available for your needs on AARP’s Family Caregiving site. Remember to laugh. Caring for someone with significant impairments or illness can be difficult emotionally, but laughter and lightness can exist there, too. Joke with your loved one — he or she is still the same person inside — and try to be amused by the little things. Make future plans. When a loved one you’ve been caring for passes away, it can come as a shock. You might feel like your purpose is gone and this can exacerbate the grieving process. Planning for the future will help relieve that shock for you, even if the plans aren't concrete. Dream about the exciting roads ahead, and keep in mind all the incredible ways you’ve learned and grown through caregiving. Accept help. Whether it's from other family members or outside sources, help is critical to caregivers. Start with the free resources that AARP can offer you at aarp.org/cuidar (Spanish) and aarp.org/caregiving (English) or feel free to call the hotline: 1-888-971-2013 (Spanish) or 1-877-333-5885 (English). Elluz Peraza is the community specialist and radio show host and producer for CV Global. She provides care for her 100-year-old mother, who lives with her. Peraza is a former actress and was Miss Venezuela 1976.